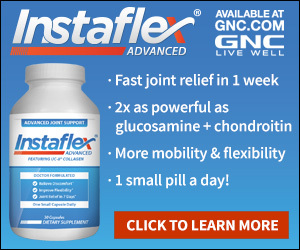 I am a subscriber to Instaflex Advanced Caplets. On Feb 10 I received your plastic envelop but it was empty, It was marked RECEIVED IN DAMAGED CONDITION, "no contents inside" by the post office. The tracking number for USPS tracking was 9400-1118-9922-3486-7182-09 Mary M West, 1717 Oregon St, Berkeley CA 94703-2115. Mary – We’re terribly sorry to hear your package arrived this way. In the future, should something like this arise please contact us directly at 800-436-0920. We have issued you a full refund for the error with this package.